The National FFA Organization provides leadership, personal growth and career success training through agricultural education. Today, there are 669,989 FFA members, aged 12-21, in 8,630 chapters in all 50 states, Puerto Rico and the U.S. Virgin Islands. FFA members are in grades seven through 12 and college. 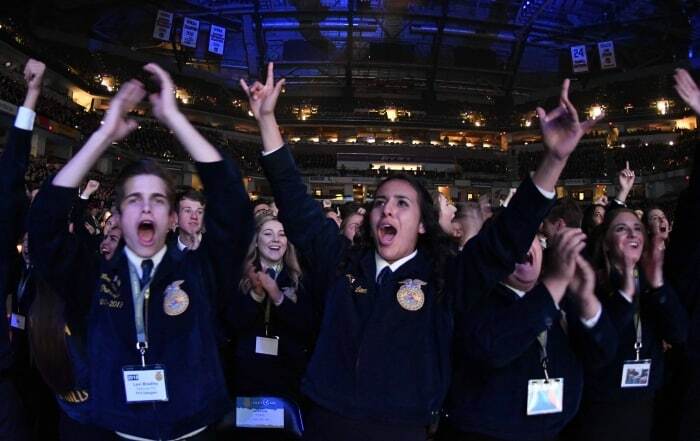 FFA members embrace concepts taught in agricultural science classrooms nationwide, build valuable skills through hands-on experiential learning and each year demonstrate their proficiency in competitions based on real-world agricultural skills. More than 13,000 FFA advisors and agriculture teachers deliver an integrated model of agricultural education, providing students with innovative and leading-edge education and enabling them to grow into competent leaders. 92 percent offer agriscience; 71 percent offer advanced agriscience and biotechnology; 59 percent offer agricultural mechanics; 49 percent offer horticulture; 43 percent offer animal science; and 24 percent offer environment-related. 23 percent of teachers have five or fewer years of teaching experience. The shortage of qualified agriculture teachers is the greatest challenge facing FFA and agricultural education. FFA classroom activities include math and science as well as hands-on work experience and the development of life skills, helping members discover their career path and realize success. Collectively, FFA members earn more than $4 billion annually through their hands-on work experience. Members participate and learn advanced career skills in 47 national proficiency areas based on their hands-on work experiences ranging from agricultural communications and food science and technology to turf grass management and wildlife production and management. According to a student magazine readership study, 87 percent of our students are interested in learning about career exploration, 81 percent about college preparation and 81 percent about technology. Through 24 national career development events and one activity, FFA members are challenged to real-life, hands-on tests of skills used to prepare them for 235 unique careers in agriculture. To join FFA, you must be enrolled in an agriculture course at your school. Contact your school counselor or agriculture teacher to enroll in an agricultural education program and join FFA. An agricultural education program is necessary to start an FFA chapter. There are 8 steps to establishing a program in your school. The Chapter Locator is an excellent tool for discovering a local chapter. Therefore, it should be used as a reference, but not for critical functions such as billing. 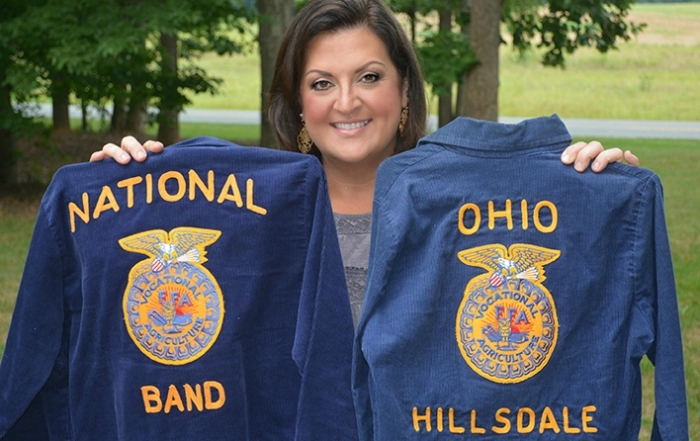 The FFA Alumni Association plays an important role in keeping agricultural education and FFA programs in our local schools. How much do you know about our FFA membership? 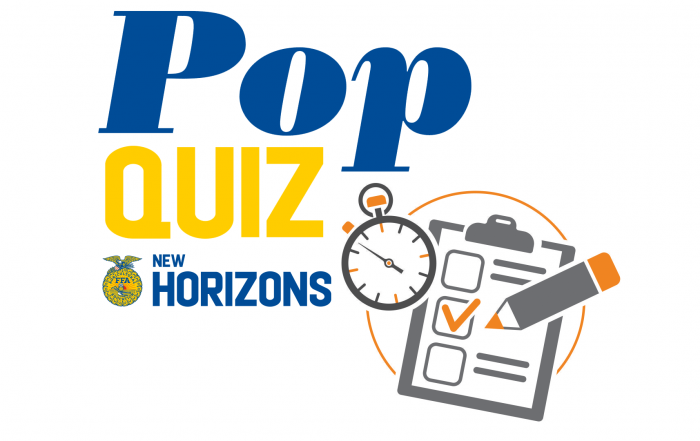 Pick the right answers in this multiple-choice quiz.